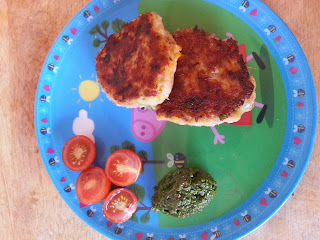 I used to make these tuna patties for the Little Guy all the time. They are a quick and easy dinner to which you can add whatever veges you have on hand. I haven't made them in awhile but a little tin of 99c tuna at the supermarket reminded me the other day. The original recipe calls for breadcrumbs and egg but I decided to make more of a croquet style with mashed potatoes as the base. This recipe makes about 8 patties -more than enough for my 2 kiddies. You can add other veges depending on preference and availability. Peel and cut up the potatoes and steam until soft. 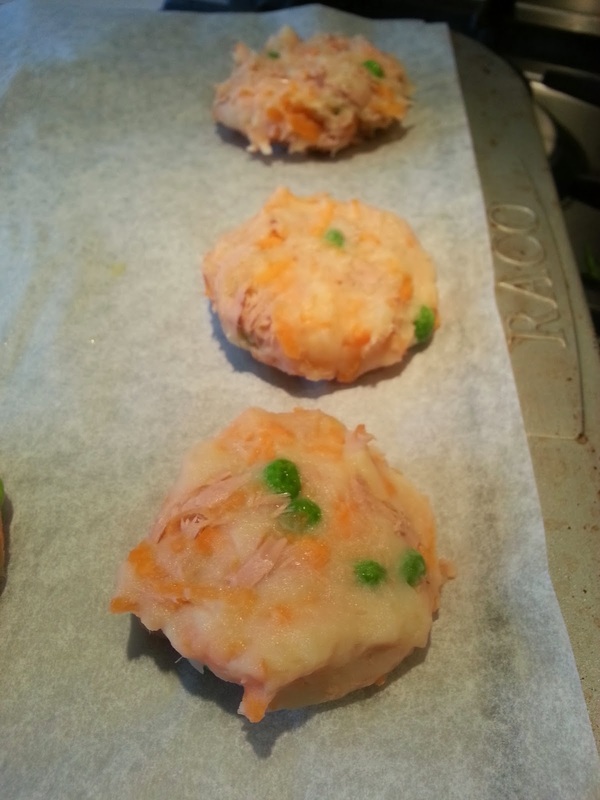 Mash the potatoes and mix through the tuna and veges. 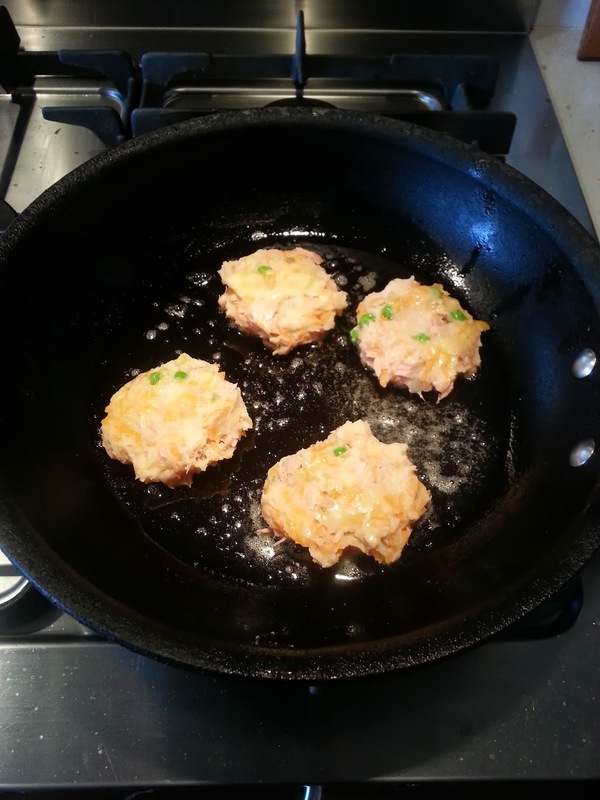 Wet your hands and form the mix into croquet shapes or patties. Place on a baking tray lined with baking paper and pop in the freezer for 10 mins to firm quickly or into the fridge until you want to cook them. When you are ready to cook remove from the fridge or freezer and either bake in the oven or cook in a frying pan on the stove until golden and warmed through. Great idea - the kids would love these. Good for a quick lunch.